Soft vs. Hard Springs – Which Is The Best Suspension? 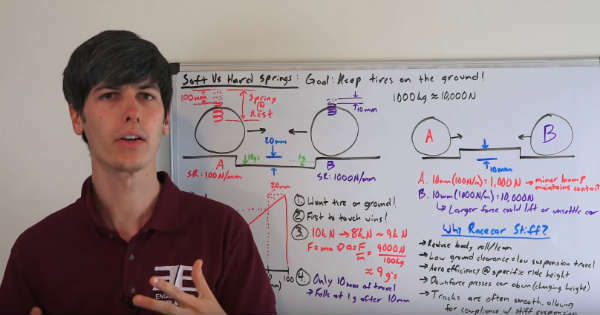 Home FOR FUN Soft vs. Hard Springs – Which Is The Best Suspension? When it comes to owning a car and taking care of every detail on it, you need to make sure that everything functions just fine. 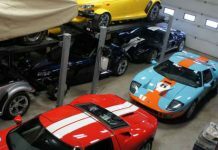 Moreover, if you have a car that is ridiculously expensive, you would want to have the best equipment possible. 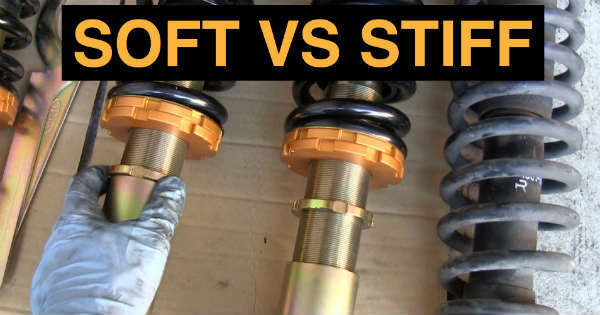 Hereby, if you have ever wondered and had a dilemma on which is the best suspension between a hard and a soft spring, then this video is the one for you. Yes, we take a look at every detail and every fact that you need to know about the two different types of suspension. This awesome video was made by our favorite host from the YouTube channel named Engineering Explained. There are some wonderful drawings on the blackboard that are going to help you easily understand the difference between them. 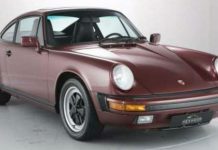 It is a common thing for people to think that if a sports car has really stiff suspension, that that one is better. On the contrary, if you are looking for really a maximum grip, then the soft suspension is what you really need. 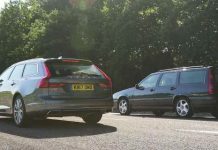 We are going to take a look at an illustrative collision between two cars with these two different types of suspensions, something that is going to make you see the key difference between. All in all, the best suspension is going to be purely on and according to your needs and criteria. What do you think, is this awesome explanation going to help you easily understand the differences? At last, check out the cars with the best suspension. 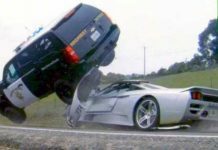 Previous articleBugatti Veyron vs LaFerarri Car Collision! 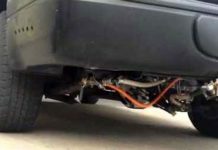 Next articleThis Is The Suspension Damage That Your Car Suffers Everyday! 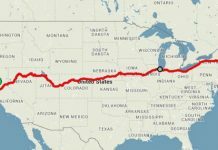 Cheap Train Trip – The Most Beautiful Places in America!